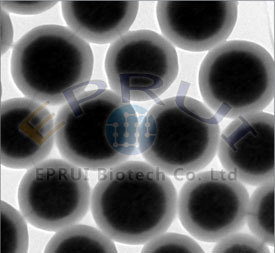 EPRUI Biotech Co. Ltd. supplies various magnetic beads including iron oxide nanoparticles, polymer magnetic beads and silica magnetic beads. 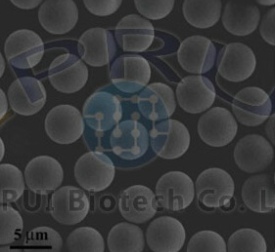 Have a polymer core, and a layer of magnetic oxide: Fe2O3 or Fe3O4 nanoparticles in the middle between the polymer core and the outermost layer which is either inorganic or functionalized organic material, which completely covers the magnetic oxide layer to prevent it from potentially incompatible interaction with biomaterials. 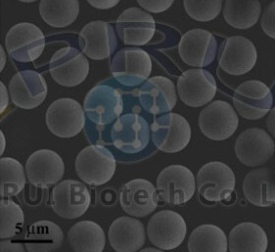 Magnetic microspheres with core shell structure in which the core is Fe2O3 or Fe3O4 nanoparticles, and the shell is either inorganic or organic material. The surface of the particle is equipped with various functional groups such as amino, epoxy, carboxyl, and hydroxyl, etc. for different applications. This type of magnetic particles has large specific surface area and high magnetic content.